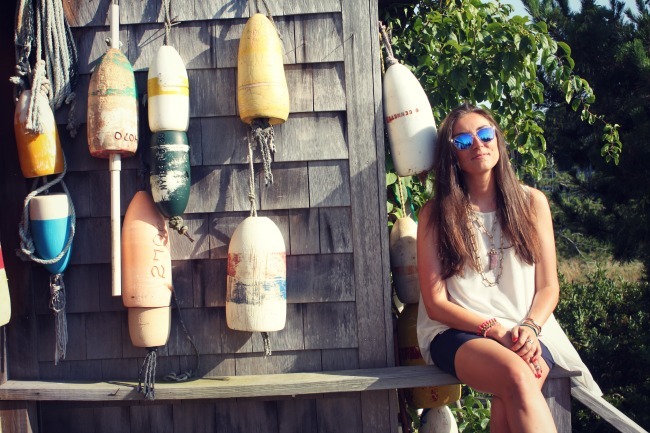 I've been lucky enough to spend a fair few summer weekends out in The Hamptons in my five years in New York. 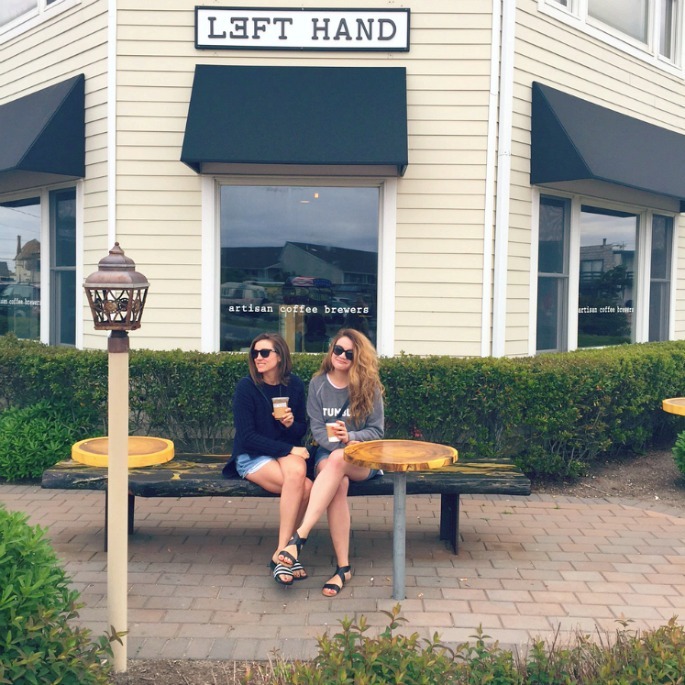 Finally a few weeks ago, a few girlfriends and I spent a whole long weekend in Montauk, which I've now declared as my favorite of all the villages along the Atlantic coast of Long Island. Montauk sits out on its own at the point of the island, and has a long history as a laid-back fishing and surfing town. Despite being entirely discovered by the whole of New York City, it retains the charm and chill you'd hope for, while still being chock-full of buzzy bars and restaurants. So whether you can get into a friend's share house or find a hotel with an open room at some point this summer (or camp on the beach!) 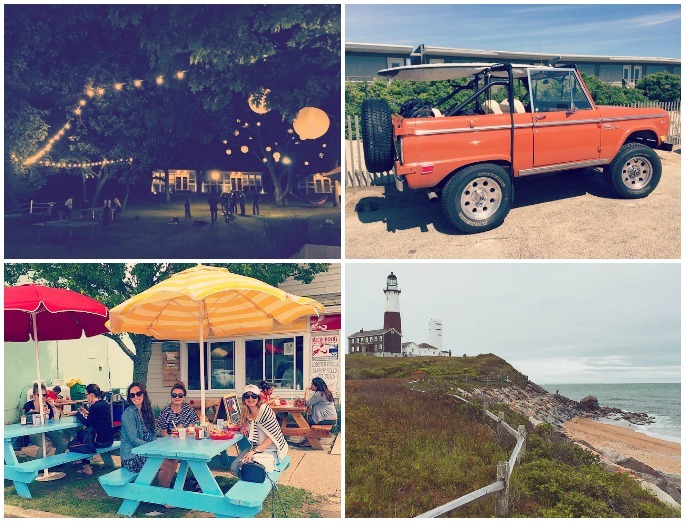 I've put together a short list of my favorite, can't-miss spots in Montauk. I didn't know how much I truly loved lobster rolls until I had one "Maine Style" at this little spot, while sitting under a colorful umbrella on a mild Montauk Saturday. With a watermelon and feta salad on the side, it was the perfect beachy lunch. It was also $30. So, prepare yourself but also #treatyoself. This place is packed even when the town feels kind of empty, so get there early. Get a smoothie, sandwich or wrap and try and snag a table under an umbrella outside. We mosied into The Hideaway around 3 p.m. on a dreary Friday afternoon, hoping for a cocktail and a late lunch. Without a fuss and with plenty of seriously delectable tequila cocktails, we got exactly that. This nautical little spot is situated amidst fishing boats big and small, right on the lake. 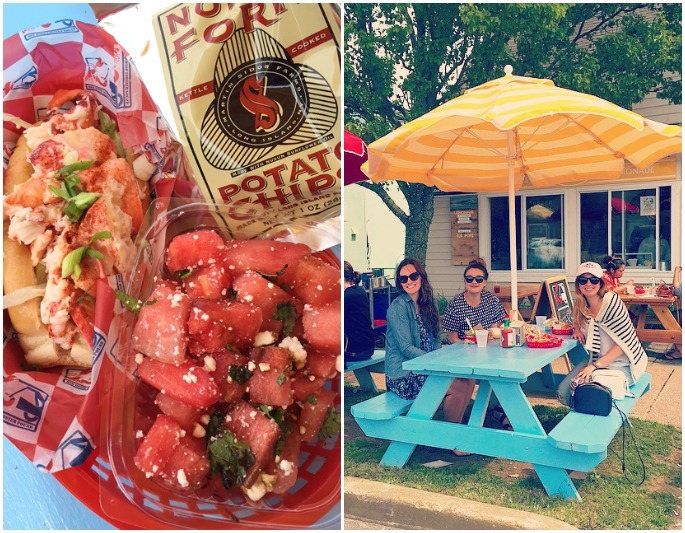 Sidle up to table here for a slice of the Montauk where you'll actually find some locals. This is probably the best iced coffee $4.50 can buy you within two blocks of the ocean. Grab one to go head down to the beach to have a stroll while you sip—it'll make the sticker shock much more tolerable, I promise. There's a certain alchemy involved in creating the perfect night at Ruschmeyer's, and it's not easy to achieve. You need a solid crew. You need to arrive already a little buzzed. The bouncers need to be in a good mood. You need the indoor dance floor not to be too packed—but the DJ is guaranteed to spin the right tunes, don't worry about that. 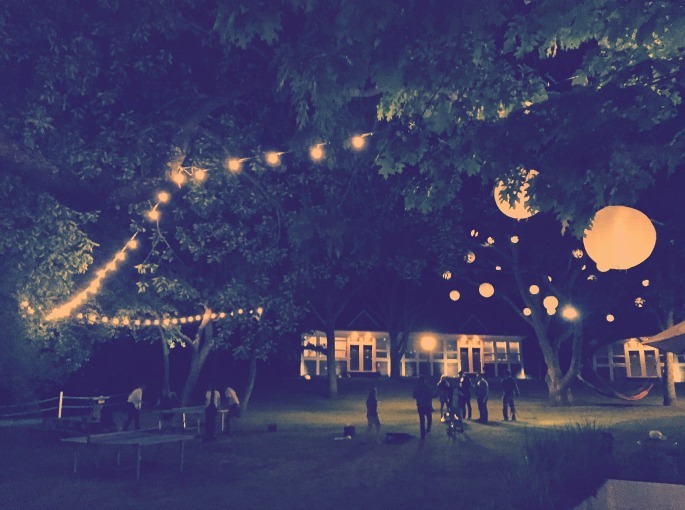 When the right elements are in place, there are few things more magical than a night of lawn games, cocktails, and dancing all night at Ruschmeyer's. When they aren't, it's frustrating, expensive and ultimately, still pretty great. I wrote rather expressively already about my love for Cyril's on the blog more than once. 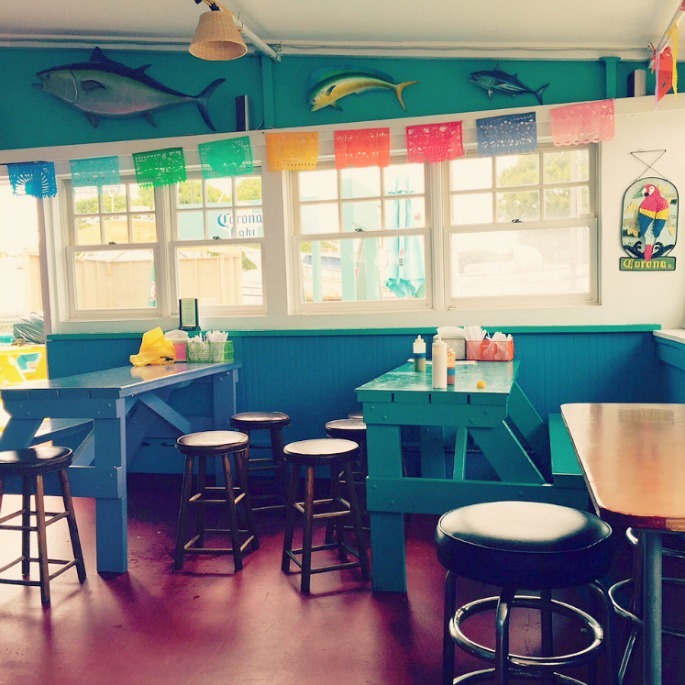 It's a bar and restaurant plopped right down next to the Montauk highway, and is known for it's wild daytime vibes. The drink of choice is called a BBC—just order it and don't ask questions. The attire is fresh-off-the-beach, and it's not uncommon to see that some guy has removed his belt and is using it to get the whole crowd to do the limbo. **Update: Cryil's is now closed indefinitely. RIP. 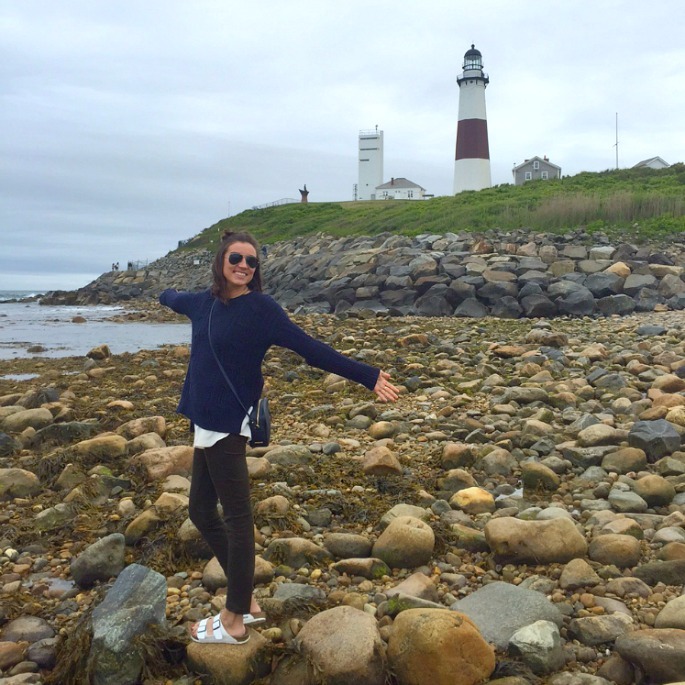 MONTAUK POINT LIGHTHOUSEFor a little bit of Montauk history that goes way way back, along with some gorgeous views and plenty of picnic spots, don't miss the Montauk Point Lighthouse. Commissioned by George Washington himself in 1792, it's about a 15 minute drive from town—and if you arrive before 4 p.m, you'll pay $8 to park. My advice? Head out there for a sit on one of the bench swings overlooking the ocean before the dinner hour or around sunset. Then scurry up the rock outcropping and make a loop around the bottom of the lighthouse to get views from all angles. If you can finagle your way in, Surf Lodge has a better concert lineup this summer than any venue in Manhattan. See for yourself and prepare to start scheming a way into seeing St. Lucia on the 5th of July. Swoon. 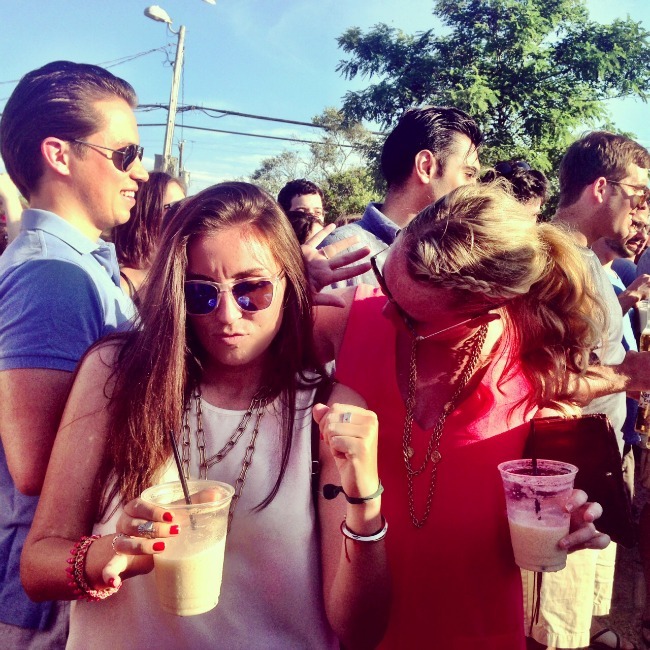 At this point, finding a place to stay in Montauk on a weekend night is going to be tricky. However, there are always cancellations, and it's a good idea to keep an eye on deal sites like JetSetter (which is how we snagged a great room at The Montauk Beach House a few weeks ago). 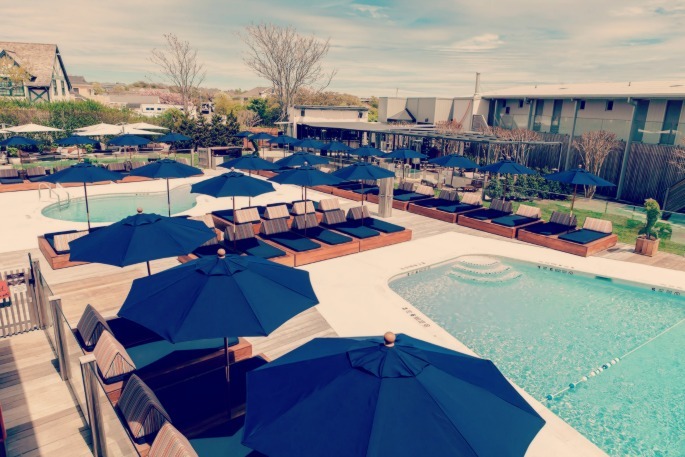 For serious luxury and spa amenities, splurge for Gurney's Montauk, also note that you can stay at Ruschmeyer's (but be prepared to party) or try one of the many Dune Resorts properties throughout The Hamptons. I have never done this, so I defer to my friend/photographer Bekka who camped here, just outside Montauk, just last week: "The best part of this campground is the proximity to the beach, it was about a 100 yard walk over the dunes to get to the beach. The campground was clean and well-maintained, although it completely books up up nearly 7 months in advance. We had to reserve our spot in January which means it's no good for a spontaneous trip, and it's also pretty crowded. The campsites don't have a grill or fire pit included, just a picnic table so we ended up buying a grill in Amagansett and cooked most of our meals there on site. 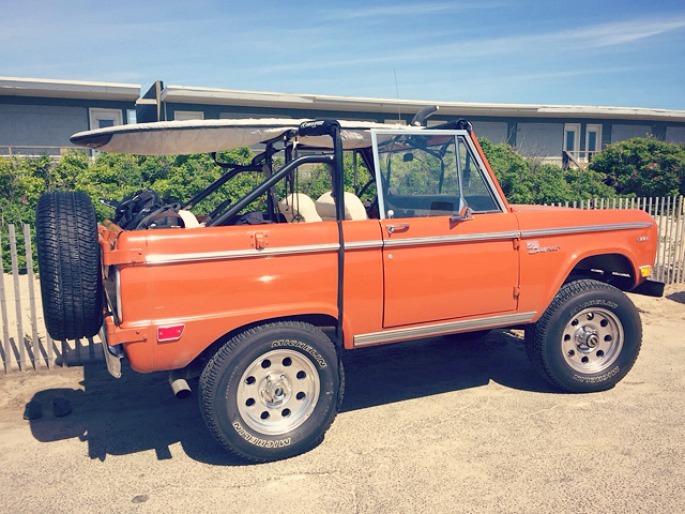 Once you hit the Hamptons, the drive is pretty scenic so it made the 3+ hour trek from the city worth it." It's not easy to find an affordable house for a weekend stay in The Hamptons—especially one that hasn't already been booked—but it can be done. Ask around with friends and coworkers, surf the web and pray for a miracle. Taxis in The Hamptons operate on a cash-only basis and Uber has been banned in the area. Expect to be charged per person, anywhere from $5 (from downtown Montauk to Ruschmeyer's, for example) to $15 (from Montauk to Amagansett). Avoid cabs altogether (except when you go out drinking) by renting a car. This makes it exponentially easier to jaunt around and get to places like the lighthouse and The Hideaway during the day. Bars like Ruschmeyer's and The Surf Lodge become extremely tough to get into as the night goes on. However, bars like The Point and Memory Motel only get better as the early morning approaches. Wait until after dinner to head back on Sunday night, you'll chase the sunset (nice!) and avoid the miserable traffic (more nice!). When in doubt, I trust their restaurant roundups above all others. Everything they recommended that we tried was golden. 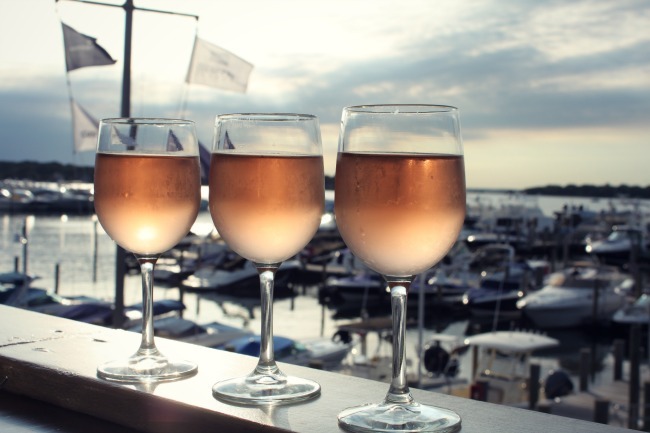 If you're feeling fancy, download this nifty app and easily make reservations at some of the buzziest restaurants in The Hamptons—including La Brisa, Sunset Beach and Scarpetta Beach.